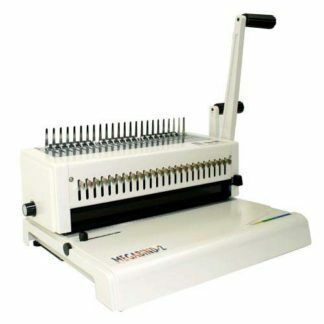 The Rhin-O-Tuff Coil Binding System 3000 is a truly all-in-one machine; from one-touch button punching to the integrated electric crimping (and everything in between), this coil binding machine does all the work so you don’t have to. 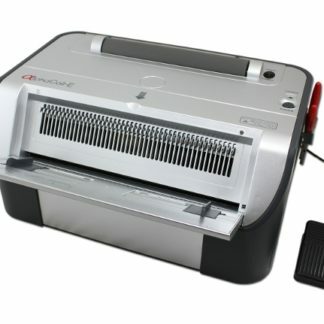 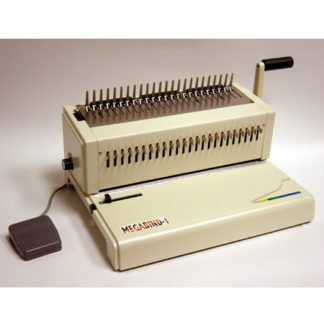 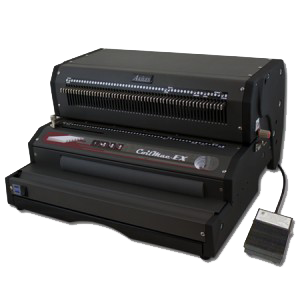 And with the open punch sides that can handle page sizes up to 23.4”, and the double coil rollers for improved efficiency, the electric crimper, and the foot pedal controls (optional use) you can do it all. 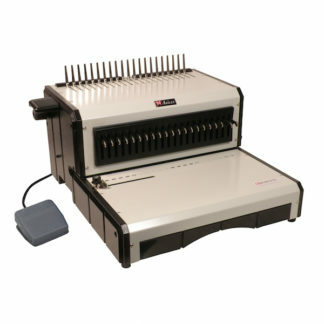 The Rhin-O-Tuff Coil Binding System 3000 is perfect for small print shops or any office environment. 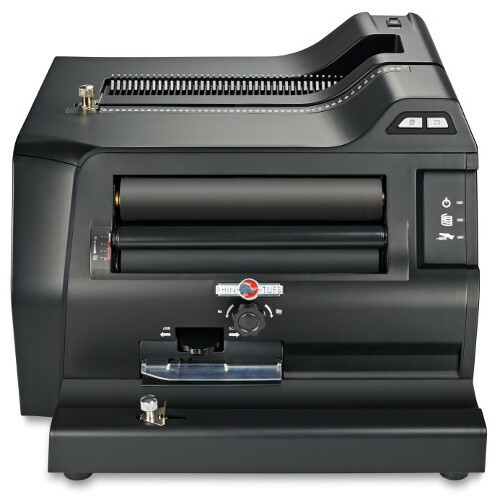 If you’re looking for a versatile, does-it-all machine, then you’re going to want the Rhin-O-Tuff Coil Binding System 3000 .